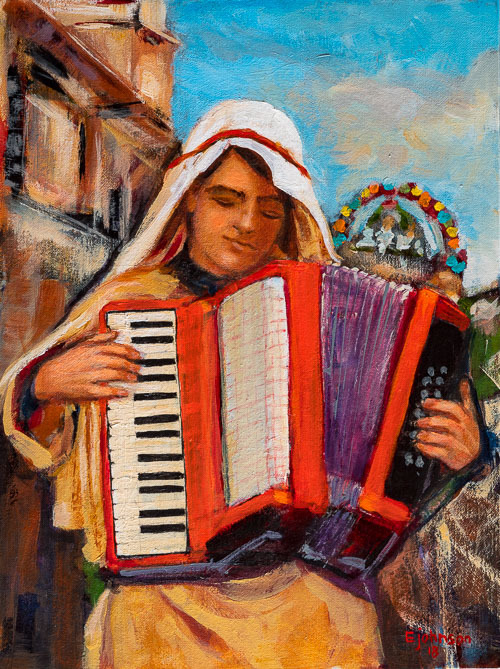 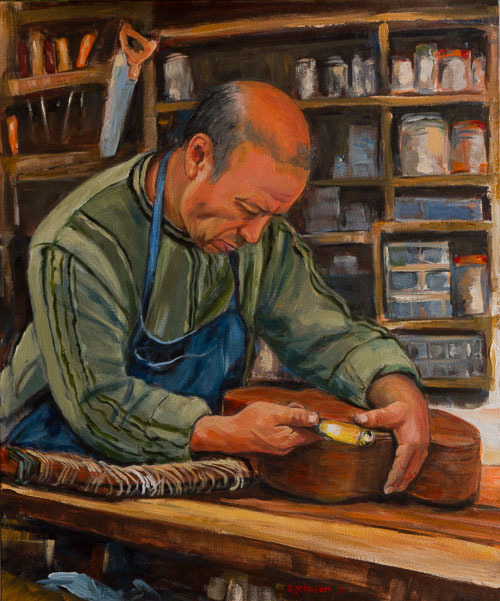 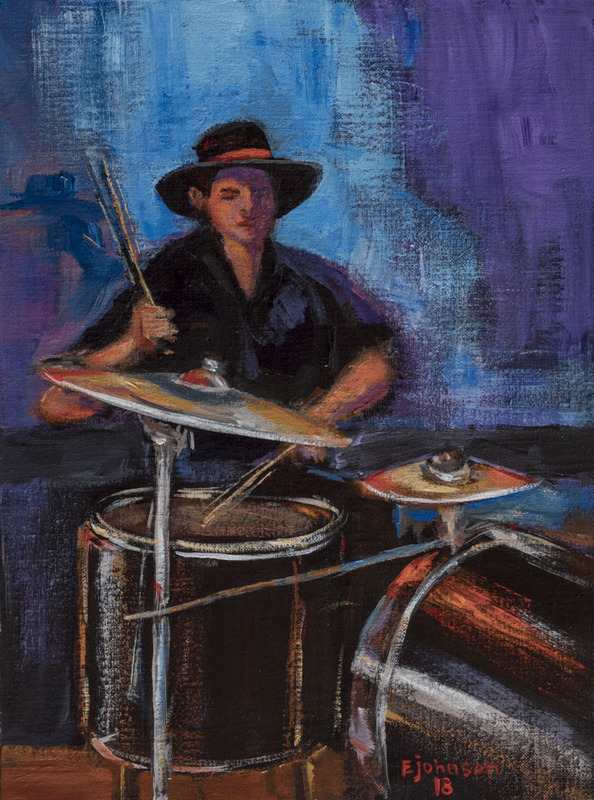 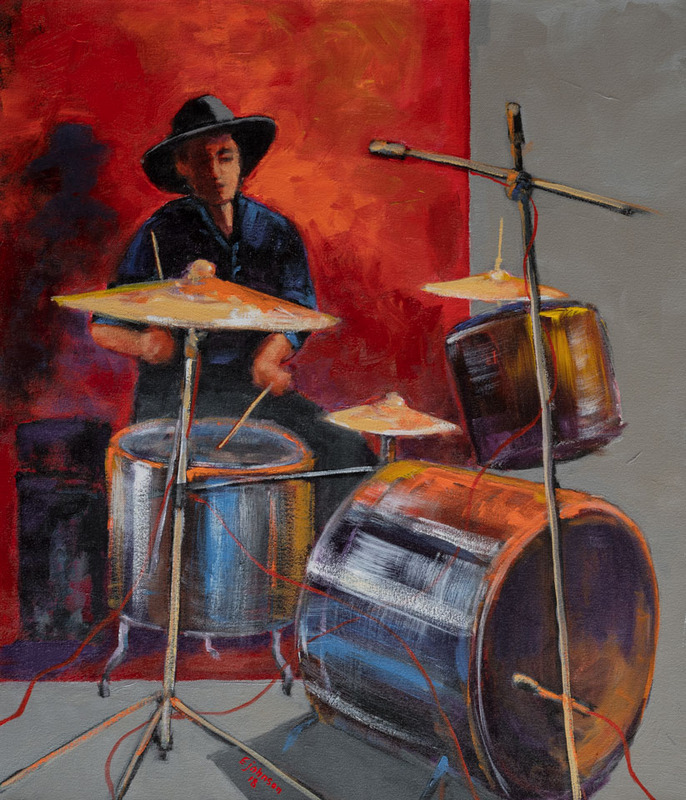 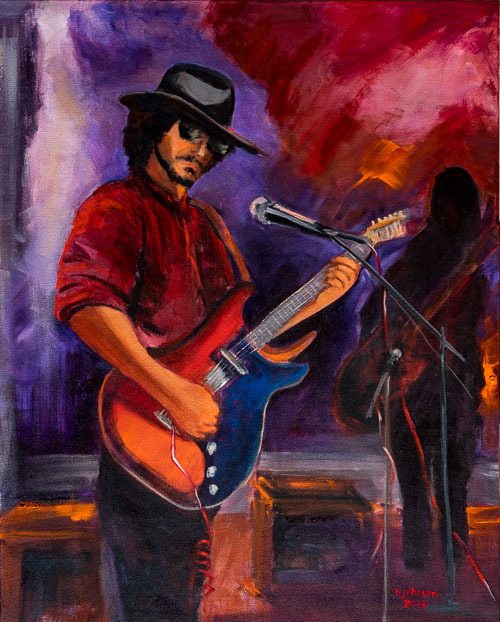 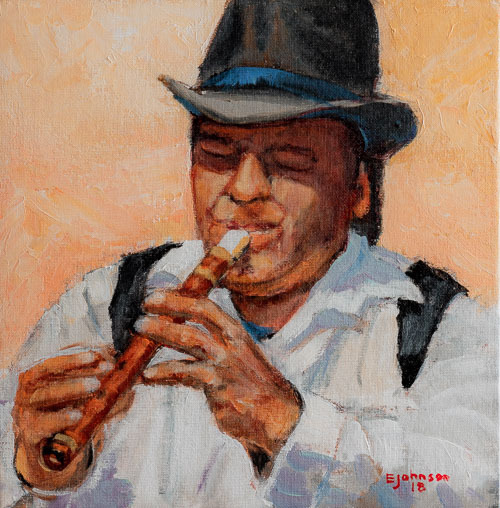 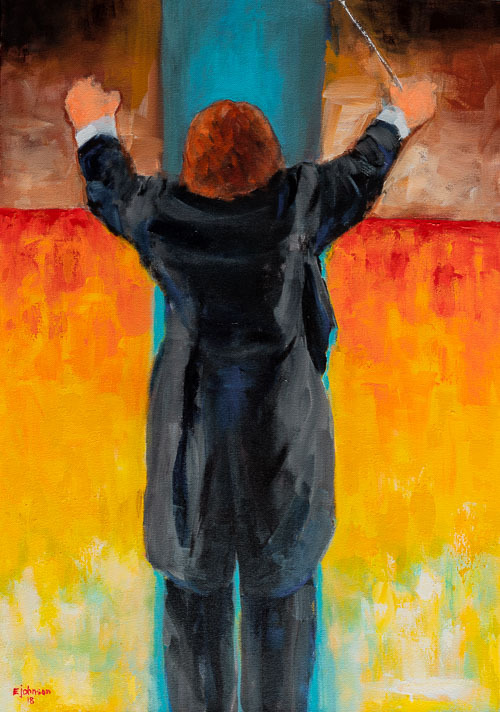 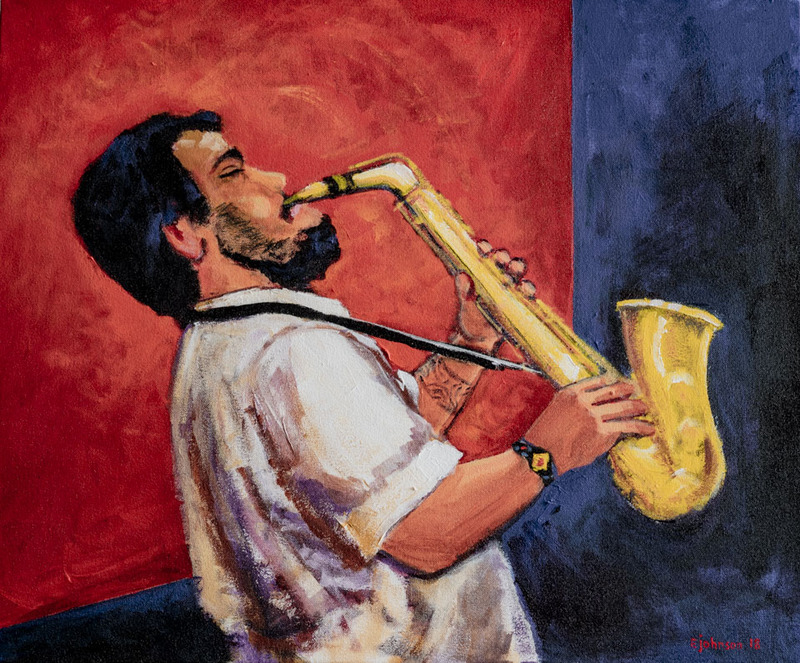 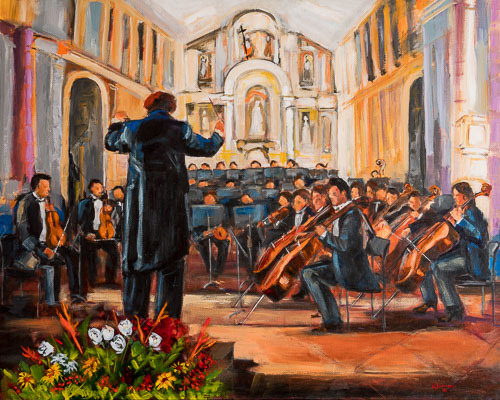 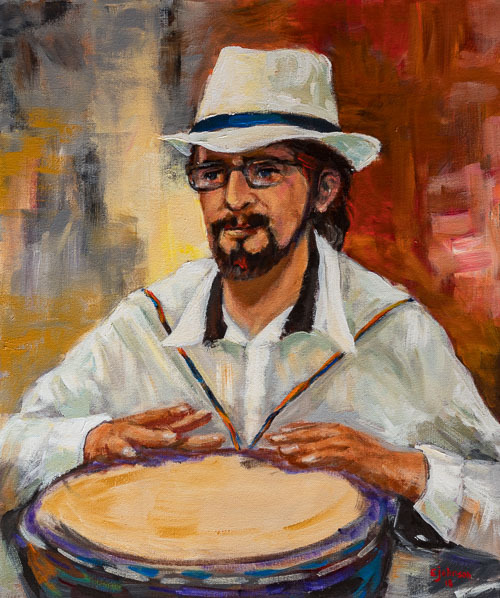 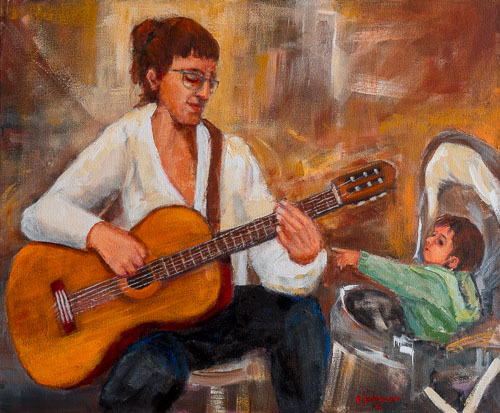 Original paintings by Evelyn Johnson inspired by the music scene surrounding her in Ecuador. Pinturas originales de Evelyn Johnson inspiradas en la escena musical que la rodea en Ecuador. 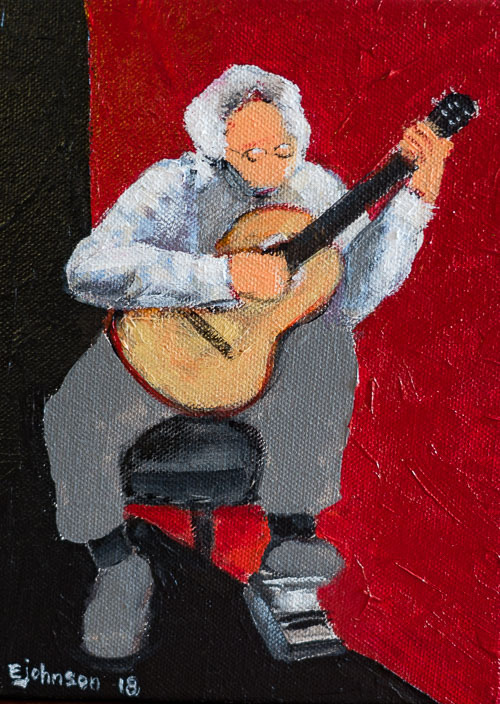 Classical guitarist, acrylic on canvas, 6" x 8"